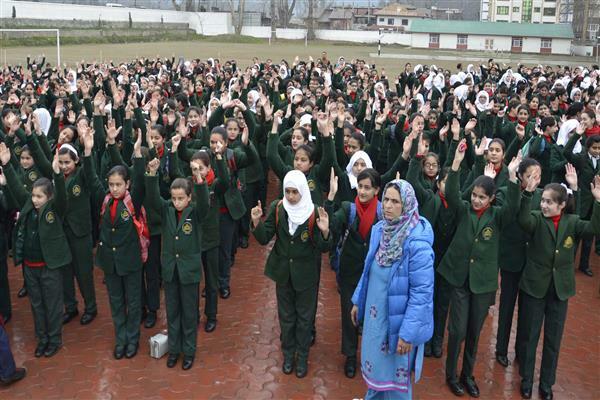 Srinagar, Mar 11 : After remaining closed for three-months for winter vacations, the private as well as government schools across the Valley reopened on Monday. Amid rainfall in the Valley, the students were happy to join their classes and to meet with their friends after three months of break. The students wore new uniforms having lunch boxes in their hands. “I feel happy to join my classes again after spending more than two months at home,” a student from Old City while waiting for his school bus at Baba Demb said. He said that during the period of three months, he missed his teachers, his classmates, friends and his school. “Now, the reopening of school from today has brought happiness among me,” he said. Government had closed all schools up to 8th standard from December 06 last year while the High and Higher Secondary Schools were closed from December 17.